HOMER Reading is the fun, interactive way to spark your child's passion for reading. Help your child build critical skills with a personalized learn-to-read plan! When kids read about what they love, they love learning to read. HOMER Reading combines your child’s passions and current reading level to create a personalized learn-to-read plan. 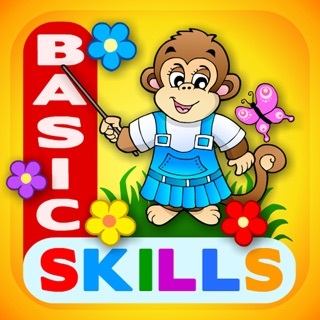 It includes thousands of lessons on phonics, sight words, ABCs and more and grows with your child from age 2 to 8. HOMER Reading has been proven to increase early reading scores by 74% with just 15 minutes a day. And with stories and activities customized to each child’s interests, they’ll learn while having fun. HOMER is an early learning program for ages 2-8 that is personalized to your child’s interests to help them fall in love with reading. Your HOMER membership includes two apps, HOMER Reading, the proven learn-to-read program, and HOMER Stories, a love-to-read library of interactive stories. Download HOMER Reading and help your child fall in love with learning today. After a 30-day free trial, your HOMER subscription costs just $7.99/month, including both HOMER Reading and HOMER Stories apps. You can easily cancel at anytime during your free trial. HOMER has been featured on the TODAY Show and Morning Joe as well as in the New York Times, USA Today, Forbes, and Parents Magazine. HOMER has won the prestigious Teachers’ Choice and Mom’s Choice Awards. HOMER offers an auto-renewing subscription for $7.99 per month, billed monthly starting at the end of the 30-day free trial. Your HOMER subscription will automatically renew at the end of each month and your credit card will be charged automatically through your iTunes account. You can turn off auto-renew at any time during your free trial from your iTunes account settings and your account will not be charged. After your auto-renewing monthly subscription begins, you can turn off auto-renew at any time from your iTunes account settings but refunds will not be provided for any unused portion of the term. Your account will be charged for renewal within 24-hours prior to the end of the current period. HOMER is free to qualified and verified teachers and librarians to support educational instruction with progress tracking for up to 32 individual students. Your pathway got a new coat of paint, and we can't wait for you to check it out! We also fixed some bugs and did some tech magic to make everything a little bit faster. Don't forget! Now all HOMER members have access to HOMER Stories, a love-to-read library of interactive stories. Just download HOMER Stories and log in with your account to start reading! Teach young children early literacy skills using a comprehensive program full of interesting activities. Featuring everything from letter tutorials and short books to poems and folk songs, this expertly designed app will engage students with diverse learning styles. To help keep lessons fun and active, kids are prompted to draw pictures and record their thoughts, and they can even exchange virtual postcards with friends and family. My older daughter is dyslexic and her teacher noticed that she was struggling to have confidence with reading. Came across this on Pinterest one day and decided to try it. We have only been using the free trial for a few weeks and we love it!! My younger daughter is addicted to it right now. She is using the preschool pathway and loves everything. My older daughter is on the growing reader pathway and is gaining confidence, even if she is sometimes bored (it’s geared more towards younger children and she’s 8). I run a very small prekindergarten for about 6 of my friends kids. Our neighbor is incredibly bright for her age (newly 5 and can read chapter books) so I made her and her little brother profiles. However, it has her on the pre-k pathway and she says that it is really easy. Her brother is only 2 and is on the same pathway as my youngest(3). I remember that when I made my first profile, I gave me the option to chose another profile for my older daughter but I can’t do that now. Is their anyway that I can chose the pathway I think they should be on? 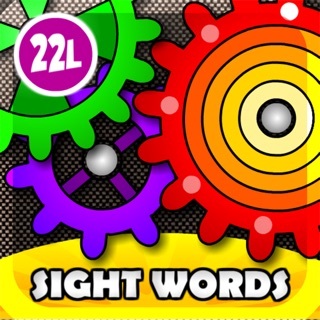 Overall, this is a really lovely app for any child who wants to have an educational boost. Totally recommend!!!! Thank you for taking the time to leave this incredible review. We are so glad to hear you and your family are loving HOMER! We would be happy to help you place your daughter on a more challenging stage. If you could, please email our support team at support@homerapp.com, and they can assist you right away. We look forward to hearing from you! My son whines about EVERYTHING he finds even slightly boring or uninteresting. He is struggling to start to read. I think he may even have a learning disability and most things I try with him make him whine 🙄 I saw an ad for this app and thought it was worth a try since it had a free trial. In two days I knew I found a winner. He looks forward to using the Homer app and finds it very engaging. He loves his “monkey teacher” and the stories and games! He gets excited when he levels up and can see his progress. It was easy to decide to continue with the program after the trial was over. This past week he started identifying small words in texts while we read together and he also started to spell small words to me by sounding them out. I added my 3yr old and she loves it too! She has speech problems and recently started speech therapy. This is the perfect additional resource to help me get her ready for pre-school and kindergarten. Thank you! We are so proud to hear of the wonderful progress your little ones are making! We can't thank you enough for choosing HOMER.